Family members are warmly welcomed and considered vital in the teaching partnership between home and Preschool. Family values, beliefs and cultural diversity are respected and families are included in decision making about their child’s development. We look forward to receiving as much involvement from each family as they would like. By becoming involved in Preschool activities, parents are able to share in their child’s experiences and help to increase the benefit and enjoyment they can gain from being at Preschool. We are happy for parents to spend some time in the classroom with their child. In this way they become more familiar with the Preschool, learn more about what the children are doing while they are with us and also get to know the staff. 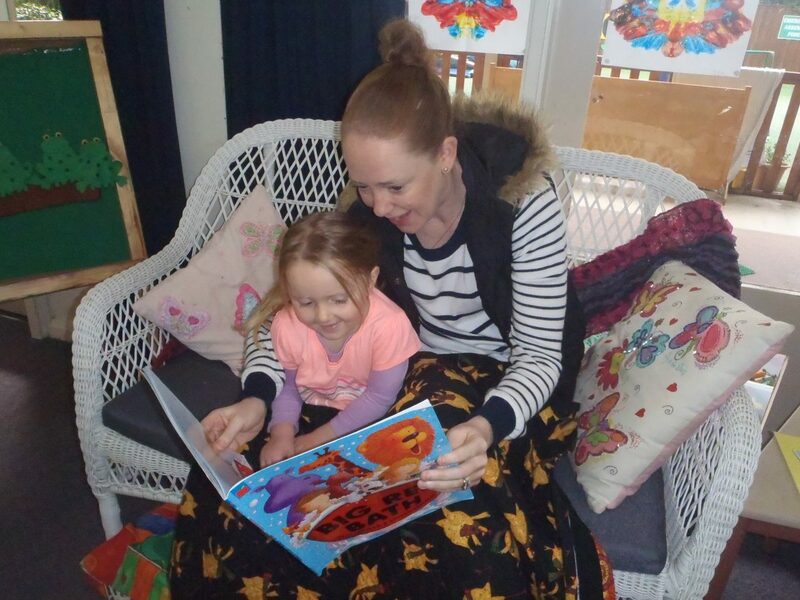 There are also many ‘special events’ throughout the year to encourage family members to share in the Preschool experiences, such as Mum’s morning Tea, Dad’s evening and Grandparents Morning Tea. Parents are welcome to contact the Preschool or call in at any time during the day. We have a washing roster where each family is asked to help out with the Preschools washing. eg tea towels, dolls clothes, etc. Each family is only asked once during the year to do the washing. The washing is given to parents by a staff member and can simply be returned the following week. At Lalor Park Preschool we are very fortunate to have a ‘Maintenance Co coordinator’ who is responsible for the ongoing maintenance of the Preschool’s facilities, equipment and grounds. On occasions throughout the year, families are asked to help with different tasks to help with the program. If parents have any skills that can assist us, we appreciate the support. These requests for help are not only for skilled tradespeople, but skills such as sewing, computer technology or cooking skills. On other occasions a willingness to help is the only ‘qualification’ needed! Any assistance from families helps keep our costs to a minimum and is greatly appreciated. Our aim is for children and their families to leave Lalor Park Preschool with very happy memories, and for each child to have gained the skills and knowledge they need to make a happy, confident transition to school and be eager to begin the next exciting phase of their life long learning journey. Thank you for taking time to visit our website and we look forward to having you and your child join us at Lalor Park Preschool.